A new photo from the latest issue of Entertainment Weekly has debuted online (thanks to SHH forum user Blitzkrieg Boy!) 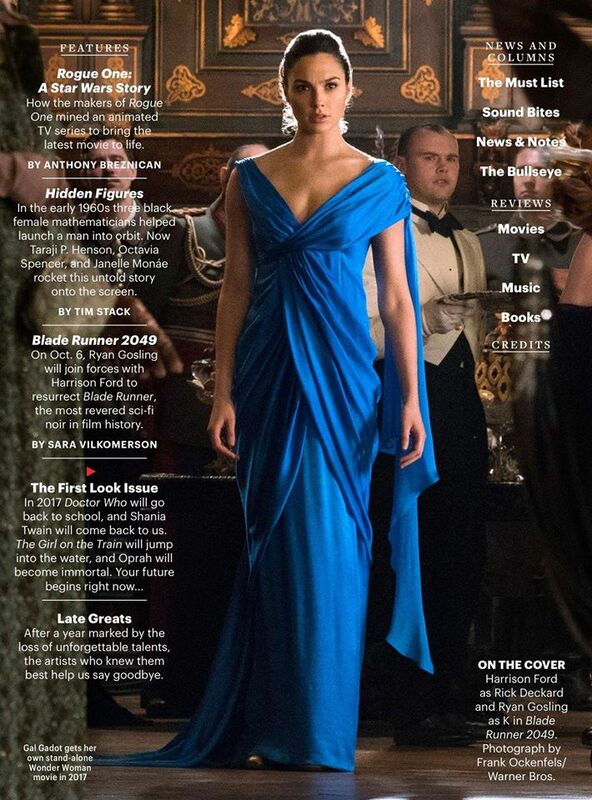 featuring Gal Gadot’s Diana Prince preparing to cut a rug at a fancy party. As we know from the trailer for the film, she has her sword tucked away in the back of her dress should she need to cut any actual rugs instead of figurative ones. Check it out below! Directed by Patty Jenkins, Wonder Woman opens in theaters on June 2, 2017. It will be the fourth film in the newly-launched DC Cinematic Universe, following 2013’s Man of Steel and this year’s Batman v Superman: Dawn of Justice and Suicide Squad. It will be followed in 2017 on November 17 with the highly-anticipated Justice League movie.